Quitting smoking is not easy because smoking is an addictive habit. To quit smoking successfully, you need to be in harmony with your body. You must make a decision and uphold it. What’s more, you need to attack the bad habit from three fronts. You must be ready and determined cognitively, behaviorally, and physically. If you are not in harmony with your body, you will most likely relapse whenever you try to quit. According to the World Health Organization, tobacco kills over 7 million people every year. Over 6 million of these deaths are due to the direct use of tobacco while 890,000 deaths are caused by secondhand smoke exposure. The organization reports that smoking causes most preventable deaths and illnesses. What’s more, smokers are at a higher risk of developing diseases like diabetes, lung disease, heart disease, and cancer. Some people believe that vaping is the best alternative to smoking.That’s because the vape mod (Vaperevs offers some details) enables the user to get their daily dose of nicotine without smoking. Their notion is that smoking exposes an individual to more harmful substances than vaping. Additionally, vaping enables a person to regulate the amount of the nicotine they consume every day. So, if you wish to quit smoking, you can start to reduce your nicotine consumption gradually and eventually quit. But, if you really want to quit smoking, you need to combine several therapies. Breaking the addiction cycle requires a person to rewire their brain. That’s the best way to stop emotional and physical cravings. Once a person quits smoking, they can face severe withdrawal symptoms during the first one or two weeks. In fact, withdrawal symptoms are the reasons why some people relapse. What’s more, overcoming the emotional aspect and breaking the bad habit is really tough for some people. Nevertheless, there are mind-body practices that can help you quit smoking while in harmony with your body. Yoga- Both yoga and smoking focus on creating relaxation and enhancing breathing. Therefore, using yoga as a replacement for smoking makes sense. Yoga reduces blood pressure and heart rate while increasing pulmonary function and enhancing mental relaxation. Exercise- Research has shown that exercises like walking, swimming, and playing tennis help relieve withdrawal symptoms. They increase athletic performance and lung capacity while reducing cravings. Mindfulness meditation- Meditation lowers depression, pain, and risk of emotional as well as binge eating. It also improves quality of sleep while relieving stress. Additionally, meditation can help you change smoking patterns or quit smoking altogether. Guided imagery- Just like meditation, this approach enables participants to create a visualization plan for relaxing and managing stress. Before a person stops smoking, it’s important that they have a vision that will take them to a place of calmness, healing, and serenity. This enables them to manage cravings once they quit smoking. Tai Chi- This is a graceful and gentle exercise. It involves slow and focused movements as well as deep breathing. This exercise promotes stress reduction and it helps in combating withdrawal symptoms and improving sleep and mood. Hypnosis- This is a psychological practice that is used to move an individual to a state of focus and concentration where they become open to outside messages. This technique is used to break bad habits while changing weight loss and smoking behaviors. Research has shown that hypnotherapy is more effective than nicotine replacement therapy. So, if you are trying to quit smoking, it might be wise to try these practices before or in addition to investing in a vape box mod. The mind-body practices for quitting smoking are based on the fact that your body needs to be in harmony with your brain and soul for you to quit smoking successfully. Essentially, your overall wellbeing is dependent on your behavioral, spiritual, and emotional aspects. Therefore, the mind-body connection is focused on more than just stress. The body and mind of every individual are intertwined. As such, mind-body practices for quitting smoking take into account personal experiences, choices and thoughts. They create a balance that moves an individual to an optimal balance and healing state. 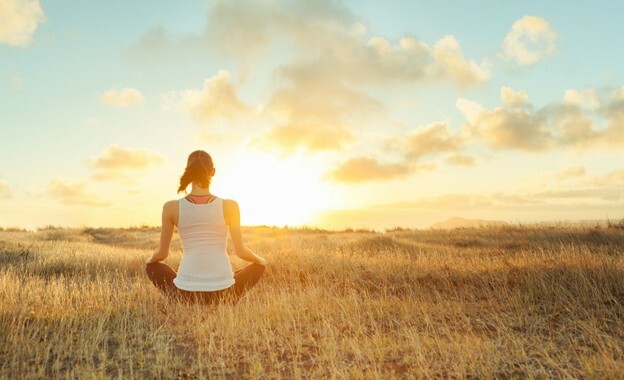 These practices connect the body and mind to improve psychological and physical wellness. Thus, once you try out these practices to quit smoking, the mind and body start healing the negative effects that smoking has had on you. For this healing to take place, you need a state of optimal balance physically and mentally. Therefore, getting your body and mind in harmony is very important when it comes to overcoming addiction. Behavioral, emotional, and physical withdrawal symptoms are overwhelming for most people. As such, it’s important to give them equal weight to overcome addiction. The fact that you want to quit smoking in harmony with your body doesn’t mean that you won’t face challenges. It’s possible that you will be tempted to light up a cigarette or use the best vape to get a nicotine dose. Basically, both psychological and physical withdrawal symptoms will kick in once you smoke the last cigarette. Always remember that fighting nicotine addiction requires you to battle physical addiction, psychological addiction, and behavioral addiction. Lighting up a cigarette and inhaling it may take just a moment. However, getting the mind and body adjust to a life without smoking takes weeks or even months. Be prepared for both bad and good days. Sometimes you will crave for a cigarette especially whenever you come across triggers. You may also crave for a cigarette when bored. It’s crucial to recognize personal triggers then come up with an action plan to help you overcome the temptation to smoke. Having people that understand what you are going through and ready to help you will enable you to go through the recovery process successfully. You need to be in harmony with your body to quit smoking successfully. Vape mod kits may seem like the best alternative to people that want to quit smoking. However, if your body is not in harmony with your mind, you won’t achieve your quit smoking goal. Even if you try to quit smoking without this harmony, your chances of relapsing will be very high.